Integrating a cellular solar powered security camera to your security system is a great choice for monitoring remote areas with no access to internet or WiFi. These innovative cameras offer an incredible security solution for rural areas while producing virtually no negative impacts on the environment. Understanding how cellular solar security cameras work and their advantageous can help you decide whether your property would benefit from these type of cameras. Some important considerations include how cellular solar powered security cameras work, their advantages, and where they can be installed for maximum benefit. Understanding these factors will make your decision much easier to make. Continue reading to learn more about cellular solar powered security cameras, how they work, and their benefits. If you have any further questions or require assistance be sure to contact the security experts at eLine Technology today. Cellular solar powered security cameras are considered an excellent alternative to traditional security cameras that require a network to properly function. In recent years with the increasing interconnectivity of electronic devices security surveillance products have incorporated this connectivity. This has made adopting security cameras for residential and commercial use easier than ever before. Some areas however that require security monitoring are remote and lack the infrastructure such as power and an internet connection to properly run traditional security cameras. Solar powered cellular security cameras use a mobile network instead of a dedicated internet connection to transfer video feeds. These cameras function in a similar way to a mobile cell phone. A security camera installer places a cellular module in the main control panel which allows a solar powered security camera to transmit a video feed wirelessly to a monitoring station. These security cameras are sometimes called 3G, 4G LTE, or 5G mobile security cameras because they require these kinds of mobile networks to function. Some of the top cellular carriers such as Verizon, T-Mobile, AT&T, and others offer customers services for cellular security cameras. This makes these cameras as easy to implement as more traditional security cameras. Aside from their ability to transfer a video signal without the need for a dedicated internet connection a solar powered security camera does not require a traditional power source to function. Rural and remote areas often lack the electrical infrastructure necessary to connect and power traditional security surveillance cameras. In the past, this would make securing and monitoring a wide and remote area very challenging leaving these kinds of properties vulnerable to crime. By using solar energy, solar powered cellular security cameras are no longer limited by their power source. Designed with a small solar panel that collects thermal energy from the sun these security cameras are capable of converting this energy into power without the need for cords or batteries. The harvested and stored solar energy is a one-hundred percent renewable energy source, is sustainable, and completely eco-friendly. A solar powered security camera can benefit any location that is remote or lacks a proper infrastructure like access to power. These easy to use cameras can be used anywhere there is a cellular service or the ability to receive and make phone calls and text messages. This provides rural or remote property owners the ability to effectively secure and monitor their property like never before. These and similar locations can benefit from using a solar powered security camera in numerous ways. Below are some of the benefits remote or rural properties can expect. Recent advancements have caused the popularity of cellular solar powered security cameras to increase primarily because of their affordability. This popularity has led the top security camera manufacturers to increasingly compete in designing more affordable models. Solar powered cellular security cameras have in turn never been more cost effective than they currently are. The advantages of cellular solar surveillance cameras are also tied to the number of financial incentives customers can expect from adopting these surveillance cameras. In recent years the government has increasingly begun to provide incentives including rebates, tax credits, and participation programs. By using a cellular network a solar powered security camera is capable of storing recorded video feeds in a cloud-based storage system. This removes the hassle and cost of having to purchase expensive DVR storage equipment. The video feed can also be easily accessed through remote video access whenever users want. Any device connected to a network such as a phone or tablet can allow solar powered cellular security camera users to view a video feed on demand. So long as the device has access to the internet a user can check their video surveillance feed from anywhere. This adds a bonus to the peace of mind these innovative security cameras provide commercial and residential owners. 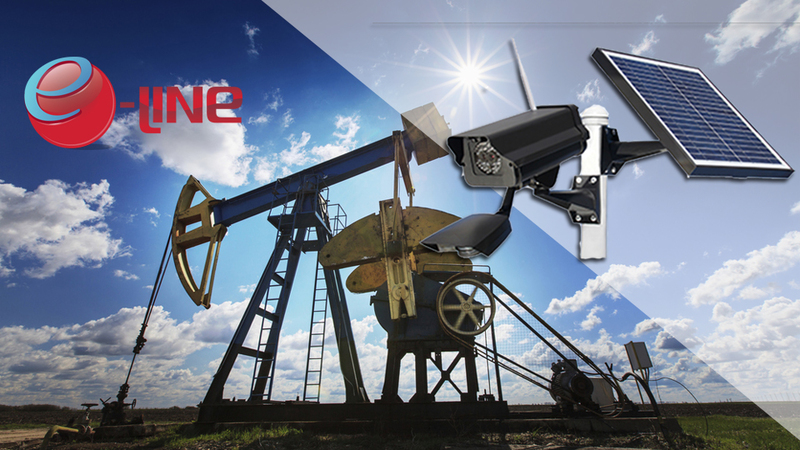 eLine Technology is a premier security camera manufacturer, supplier, and distributor located in the United States. Our company is part of a vast network of top security and surveillance companies which we have partnered with to provide customers with the latest and highest grade surveillance cameras. We are dedicated to the satisfaction of each customer and employ a team of experienced industry professionals. These professionals use their years of experience in the security surveillance industry to find the best products for a customer’s needs at competitive and affordable prices. Our team is committed to providing customers with the best experience possible which has led to our successful position in the industry. Contact us today to learn more about our wholesale surveillance products or with any further questions you may have. Our friendly team will be happy to assist you.